بني فندق Surfers Hawaiian Apartments في 1990، وهو يعتبر ميزة مُضافة للمدينة و خيار ذكي للمسافرين. يقع الفندق على بعد من مركز المدينة، ويؤمن الوصول إلى أهم مراكز المدينة. إن سهولة الوصول من الفندق إلى المعالم السياحية الشهيرة الكثيرة في المدينة هو استثنائي بحد ذاته. يعمل Surfers Hawaiian Apartments على ضمان إقامة مريحة لضيوفه من خلال خدماته الممتازة وحسن ضيافته. لضمان راحة ضيوفه، يقدم الفندق الخدمات التالية: متجر, توصيل من البقالية, خدمة غسيل ذاتية, تأجير واي فاي محمول, خدمات بريدية . تتضمن كل غرف النزلاء وسائل الراحة والتسلية المصممة خصيصاً لضمان الراحة القصوى للضيوف. يقدم الفندق مجموعة واسعة من وسائل الراحة المتنوعة، كمثل: حوض استحمام ساخن, مركز للياقة البدنية, ساونا, مسار جولف - ضمن 3 كم, حمام سباحة خارجي. مهما كانت أسبابك لزيارة المدينة، فإن Surfers Hawaiian Apartments هو الخيار الأفضل لإقامة مثيرة وممتعة. Loved this hotel! Very friendly staff, the room was amazing with the view, very quiet too. Can’t wait to come back! Good views, friendly staff, very tidy. Great place to stay. Bed comfortable. Has everything we needed - well stocked kitchen, spa, sauna, swimming pool. Good breezes throughout with windows open without having to resort to air con. We are from a rural area and we found the street noise a bit annoying at night but not overly so. Hi Julie, Thank you for coming.Our holiday apartment is the best choice for family stay.Hope to see you soon. The complex was clean and well kept, The unit was dated, however it was comfortable and clean (the beds could do with renewing), Entire unit was tiled which felt cold and echoed, perhaps some floor rugs would fix this. The managers were lovely, especially as we arrived after check in time. Apparently there is a restaurant on site ? maybe room delivery and or signage to show where the restaurant actually is wouldn't go astray. All in all we had a very nice stay and would return in the future ....... very funny joke in the hall cupboard, if you stay, check out the hall cupboard, made me laugh out loud several times over the weekend. Unit 30 has a fantastic view over the river and city. The unit has been renovated and well equipped and kept. It will be good if another air-conditioner can be installed in the smaller room as well. Hi, Thank you for review.We have more riverfront and renovated apartments,Please contact us for more information. Hope to sees you soon. 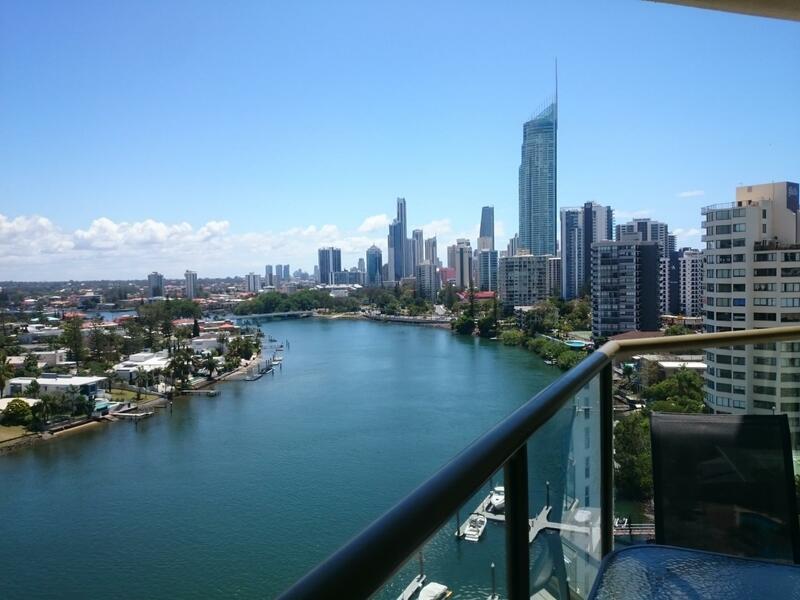 We will surely stay again at this apartment when we go back to Gold Coast. My family had a great stay at Surfers. 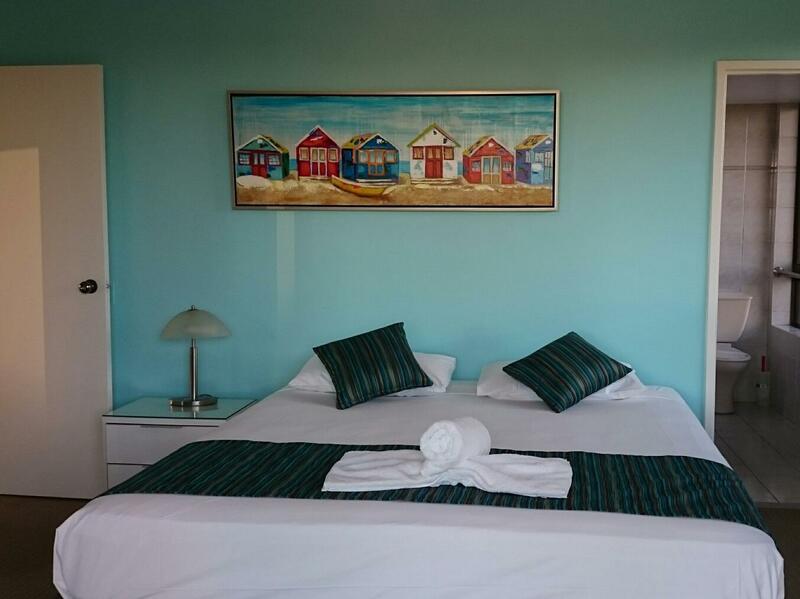 The 2 bedroom Apartment is spacious, very well equipped with kitchen and laundry service is available FOC. Great experience, comfortable and cozy. Apartment is clean, comfortable and convenience with modern amenities like fridge, toaster, kettle, electric stove, oven, microwave, washing machine and dryer, good security system for the building, close walking distance to train and bus station, close walking distance to beach. Excellent tv programs from foxtel. Quiet place for good rest, hot water system, air cond. Good for family stay. Car parking available. Close walking distance to bus station where you can catch a bus(come every 10min) to get to all the theme parks in gold coast. 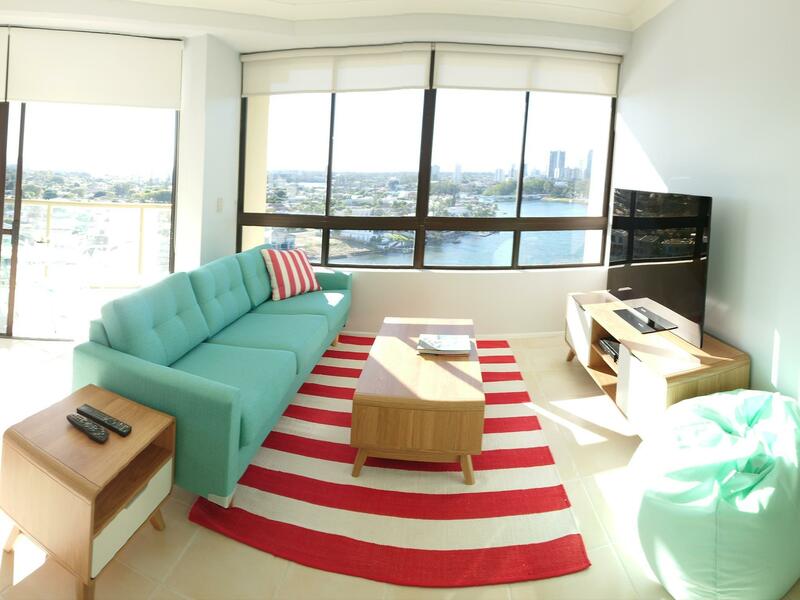 We continue stay at this apartment after back from Brisbane, is a good choice to stay in this apartment again. Good for family holiday with young children because there is a bathtub for us easy to help our child to shower. Clean & comfortable apartment. Complete kitchen equipment for us to cook breakfast and food for young children, just limited dish wash to clean up the cooking equipment for staying up to 6 days. Nice river view, Saturday & Sunday a lot of boats passed by. The staff Ms. Jill are very friendly, she recommend nice seafood to us. Near to the beach and river with very pretty view. Enjoyed the stay! We were stunned by the very nice view on the river and night lights from balcony. The apartment was big and spacious. However, it was slightly rundown, and did not feel very clean when we first entered. Also, air-con was only installed for the master bedroom and living room but not the remaining rooms though fans were provided. Location, the manager and the apartment! The veiw, The aircon, The size of the rooms. We had a great time staying here, its in a great location. Everything was clean and well presented, and the veiw was fantastic. I Highly recommend Surfers Hawaiian Apartments. Our stay was excellent. Big, clean rooms,friendly / helpful staff, nice pool and close to everything.